* Illusions of Evolution Exposed by Information Engineer: Real Science Radio's Bob Enyart and Fred Williams interview electrical engineer and information expert Walter ReMine to identify the specific illusions offered by evolutionists when they claim to have established ancestors and evolutionary lineage. 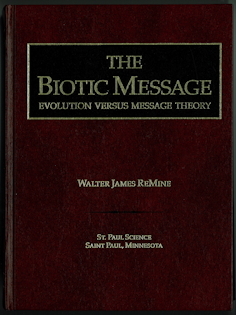 ReMine's classic book, The Biotic Message, makes a significant contribution to the anti-evolution literature. 4 : switching back and forth between different origins topics in a pretense of answering an original question. * Do Body Parts Evolve Into Other Body Parts? 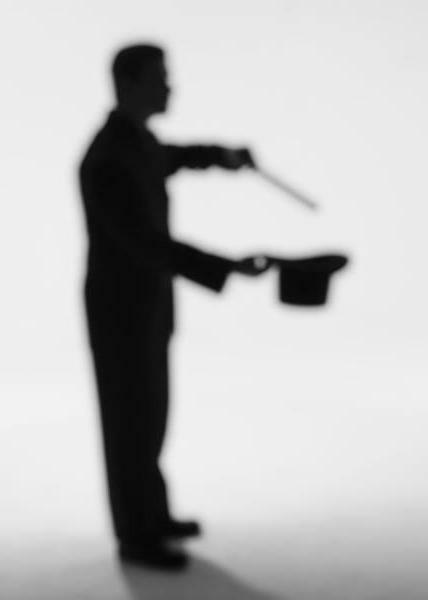 After a century of looking for the ancestors and lineage that Darwinists expected to find among a billion recovered fossils, frustrated evolutionists have invented various illusions to make it seem as though they have identified the origin of countless species. Consider a first example. Organs don't reproduce. That is, eyes don't give birth to baby eyes, and kidneys don't give birth to baby kidneys. Rather, organisms reproduce, and taking them as a group, a species can reproduce. However, increasingly avoiding the problematic attempt to identify the particular species that allegedly evolved into another species, instead Darwinists now present various alternative arguments, and provide the illusion that they have identified a ancestry. For this particular illusion, they select body parts from diverse organisms (even from creatures that they will admit did not evolve from one or the other) and then provide a chart implying that the one body parts demonstrate an evolutionary history. ReMine documents an example of this in the 1985 debate between atheist Philip Kitcher and creationist Duane Gish in which Kitcher presented a chart of body parts from unrelated animals, including two forms that were later, admittedly, fabricated. * Humans Close to Koalas, Octopus, and Sponge: When building a claimed evolutionary tree, evolutionists compare arbitrarily selected features of anatomy. For humans, if considering fingerprints, then we're close to koalas. Considering the human eye, then we're close to the octopus. But 70% of the genes in the lowly sponge are just like our human genes. So depending upon an arbitrary selection of hundreds of bodily organs or millions of various segments of DNA, any number of conflicting evolutionary trees can be drawn. 1. Clear-cut ancestors and lineages are systematically absent over the long term and instead what appears throughout the fossil record is diversity. 2. Large morphological gaps in the fossil record. 3. The lack of identifiable ancestors and the large morphological gaps cannot be brushed aside by claiming the fossil record is incomplete. 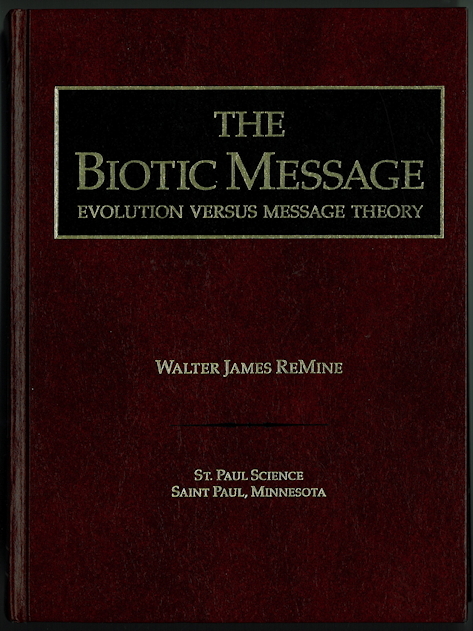 ReMine points out that these are essentially creationist observations which some of the world's leading evolutionists, like Stephen Jay Gould and Niles Eldridge, themselves acknowledged and created an entire new line of evolutionary theory to deal with. Gould famously admitted that the morphological gaps (like the lack of transitions between invertebrate and vertebrate, or anything and a turtle) were the trade secret of paleontology, and also, that if anyone found evidence of gradual evolution, they would thereby falsify his theory. 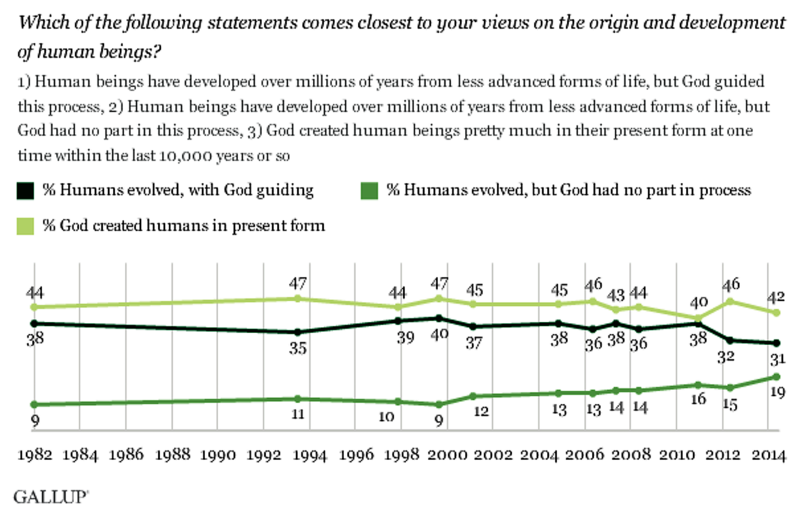 By this slight-of-hand, to prove evolution wrong, you have to prove evolution. [Similarly Leonard Susskind graciously offered, "Whether you think of a positron as an electron going backward in time or an electron as a positron going backward in time is up to you."] And the fossil record is believed to be largely complete because for a century now, with millions of fossils excavated, when a new batch of fossils are brought in from the field, typically they can be sorted into the existing patterns of life already documented within taxonomy. * Quote-Mining Deep, Rich, and Wide Veins: When evolutionists can't complain that a reference is not to a peer-reviewed journal, they are trained to say "quote mine." For typically, when a creationist provides a solid reference to a journal, Darwinists make a knee-jerk accusation claiming, without even attempting to justify their criticism, that we're taking quotes out of context. ReMine easily defends himself against this common false witness. We creationists often reference the kinds of statements that tend to be the most reliable in all of human history by quoting the contrary-to-interest claims of hostile witnesses. Regarding the metaphor, mining is most profitable where the vein runs rich and deep and wide. Countless evolutionists have expressed disappointment with the evidence, with the pattern intensifying when speaking about their own specialties. Many assume the real evidence lies in some other field. That phenomenon repeats so often that the Denver audience chuckled when this exact thing happened in Bob Enyart's Age of the Earth Debate with a geophysicist, who was asked for the best evidence that the earth is old. As many guessed he might, he answered, "star light." (Seemingly not overly impressed with evidence from his own field, this geologist should have known that even if starlight were billions of years old, that doesn't mean that, say, a satellite on which if falls, nor the earth, is billions of years old.) Merely mouthing the mantra "quote mining" doesn't negate all the contrary-to-interest observations published by countless evolutionists. Two-word Atheist Quote Mine: Ironically, when debating Bob Enyart, popular atheist Darwinist AronRa committed a two-word quote mine implying that Lord Kelvin supported evolution, quoting him as saying that evolution was "not unscientific." So in that RSR debate on the existence of God, correcting the atheist, Enyart quoted Kelvin's own summary of the matter in which he says there is vast evidence, as sure as that for gravity, for the existence of the Creator. Out-of-Context Accusation Against Enyart: As though no one is allowed to quote Darwin's statement about the apparent absurdity in claiming that the eye could evolve, Ra threw the quote-mining "out of context" accusation at Enyart, because Bob did not go on to quote Darwin saying, regardless, that he believed eyes evolved. No kidding. Bob responded to Ra, "There's not one person in your audience or my audience, or that you can name in the entire world -who knows about Darwin, who doesn't think that Darwin believed in evolution." AronRa accepted my challenge to justify his claim that creationists allege that Darwin didn't believe in evolution. He responded by naming... naming... naming... who? Who? An anonymous poster to a web-based street-slang dictionary. That's who. And that's not a name. That's how far Aron had to go to justify his part in the relentless claim against creation authors and ministries that we commonly take our sources out of context. So regardless of the urban legends about Darwin that untrained members of the general public might claim, creationists have every right and are not taking Darwin out of context to quote him saying that, "To suppose that the eye... could have been formed by natural selection, seems, I freely confess, absurd in the highest degree." There is nothing about repeating that point that is out of context. * Evolution's Magic Words: Randy Guliuzza, friend of RSR, has an insightful article, Unmasking Evolution's Magic Words, over at ICR's important website! * You'd Get Bad Legs Before You Got Good Wings: Won't a species struggle with bad legs long before they evolve into good wings? Evolution theory, untenable as it is, suggests that birds evolved wings from "arms", but that pterosaur, insect, and bat wings evolved from legs. See rsr.org/bad-legs-before-good-wings. So of course, a leg would become increasingly worthless as a leg long before it improved survival as a wing. * RSR's Dinosaur Soft Tissue Page Update: We're continuing to updated our database! Last month microscopy expert Mark Armitage complimented our realscienceradio.com/dinosaur-soft-tissue listing as the web's most complete catalog of peer-reviewed journal papers confirming the existence of original biological tissue from dinosaurs! - gets you Dr. Don Johnson's book as a bonus! 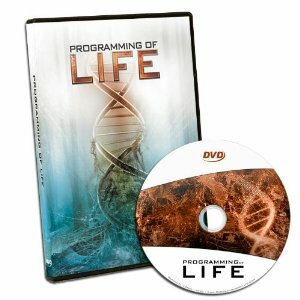 Information is encoded in every cell in our DNA and in all living things. Learn how the common world view of life's origin, chemical evolution, conflicts with our knowledge of Information Science. Finally, information Science is changing the way millions of people think about all living systems! Also, have you browsed through our Science Department in the KGOV Store? You just might LOVE IT! We offer a 30-day money back guarantee on all purchases.